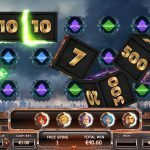 Super Heroes is a 5 reels and 20 pay lines video slot game from Yggdrasil that follows the life of 6 characters. These heroes are here to keep us not only safe but to help us win as much money as we can. The design of the game is spectacular where the reels are set in a cityscape background. Super Heroes is packed with special features. Each hero has its own ability and they can appear randomly to help you out. Mirage turns high value symbols into dice and they spin a mystery prize. 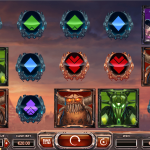 Raven can turn up to 4 reels wild, Hopper can turn up to 5 symbols wild, Tesla can turn up to 5 symbols into matching ones, Trance will add up to 4 extra free spins during the free spins round only and Knox will add a x5 multiplier. The main feature is the free spins round here and it is activated by landing 3, 4 or 5 scatter symbols for which you will receive 4, 5 or 7 free spins. The Superhero feature is active the whole time and each character starts on the first level and advance throughout the feature. 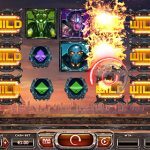 Super Heroes is a very interesting and powerful video slot game. But this comes as a no surprise since all the latest games from Yggdrasil are indeed one of a kind. The best thing when it comes to this game are the special features, and to be honest there are plenty here. The betting options are also worth the mention since they are wide and every kind of a player can find the right bet size for their bank roll. We highly advise you to give this game a chance and we are sure that you will love it. For another great engaging slot you should consider playing Sunny Shores a 5 reel slot by Yggdrasil.